Cobbs unhinged from Glenn Williams on Vimeo. 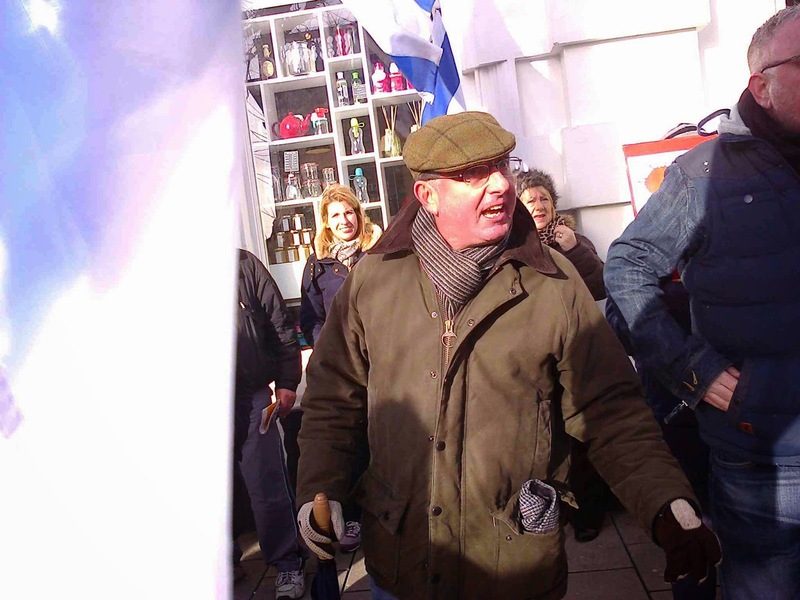 The Zionists, with the complicity of the Police, left no stone unturned in order to defeat the PSC campaigners. They were the usual mixture of hypocrites. They said they supported a 2 states solution at the same time as they supported the confiscation and theft of Palestinian land by Israeli settlements vulture companies like Sodastream. Like most Zionists, 'Peace' was a weapon to be branded against the Palestinians, it had no substance in itself. Although on some occasions the Police attempted to be even handed, the number of arrests of those of us who were the victims of harassment were far higher than the Zionist abusers. Silver racist. from Glenn Williams on Vimeo. The Zionists said they supported equality even as the Christian Zionist fundamentalists, who often made up the bulk of the Zionist counter-demonstrators, argued that there is no such thing as the Palestinians. 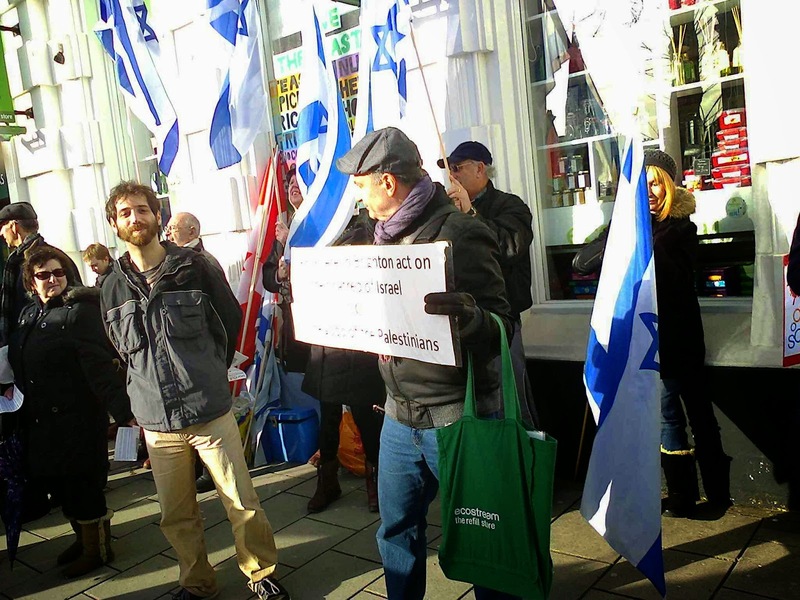 Every one who opposed them was anti-Semitic despite the fact that at the annual invasion of Brighton by the EDL/March 4 England, there wasn’t a Zionist in sight. Wanting Jews to burn in their millions in the Christian Rapture, so the Palestinian Jesus could be with us once again, was not anti-Semitic! Odd ball in action from Glenn Williams on Vimeo. 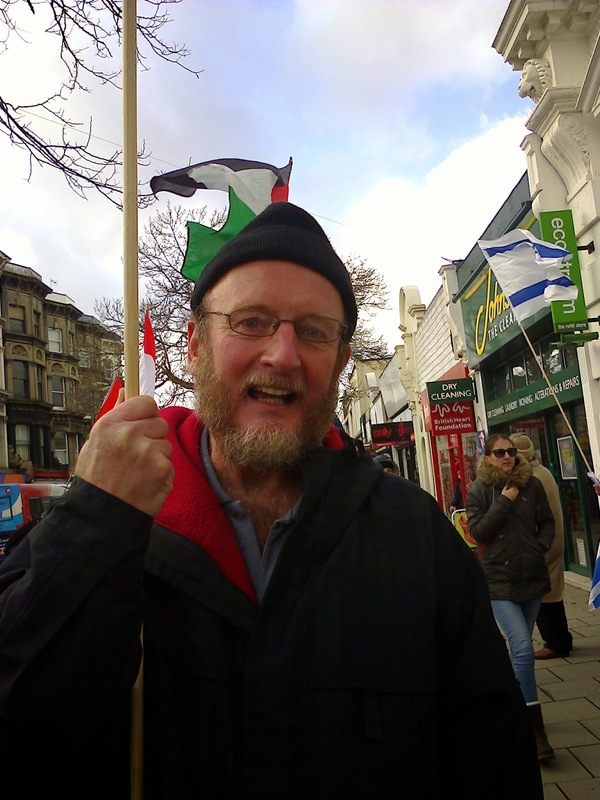 Week after week, a hardy band of PSC campaigners braved the insults and taunts of the Zionists, with the Police interested solely in arresting pro-Palestinian demonstrators whilst turning their eyes from the naked racism of the Zionists. Many of us were subject to physical assault by these peaceniks and when, on one occasion, I defended myself, I was the person charged. CLIP0004 from Glenn Williams on Vimeo. 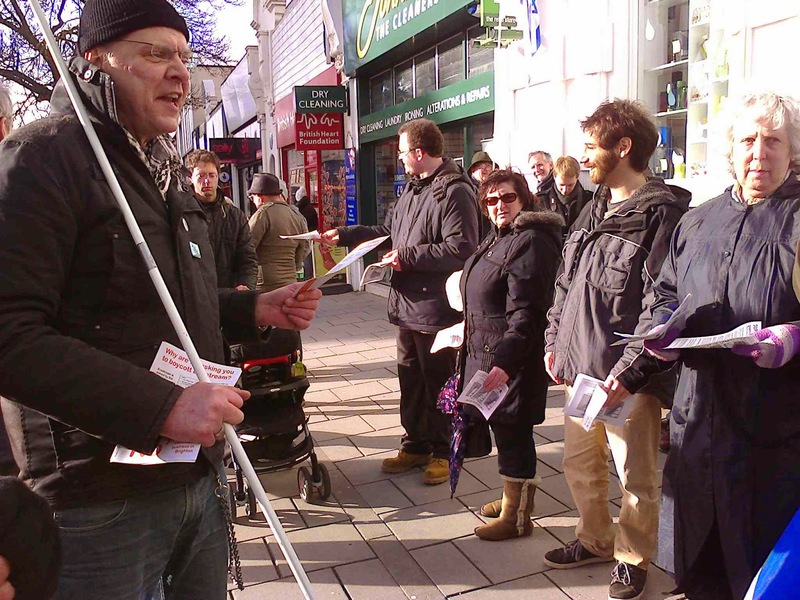 But whilst the Zionists occasionally managed to mobilise about the same numbers as ourselves, their ‘in your face’ counterdemonstration and comparison of all and sundry as 'anti-Semitic' which involved following and abusing anyone who was sympathetic to the Palestinians, slowly but surely alienated the vast majority of those who live in Brighton & Hove. 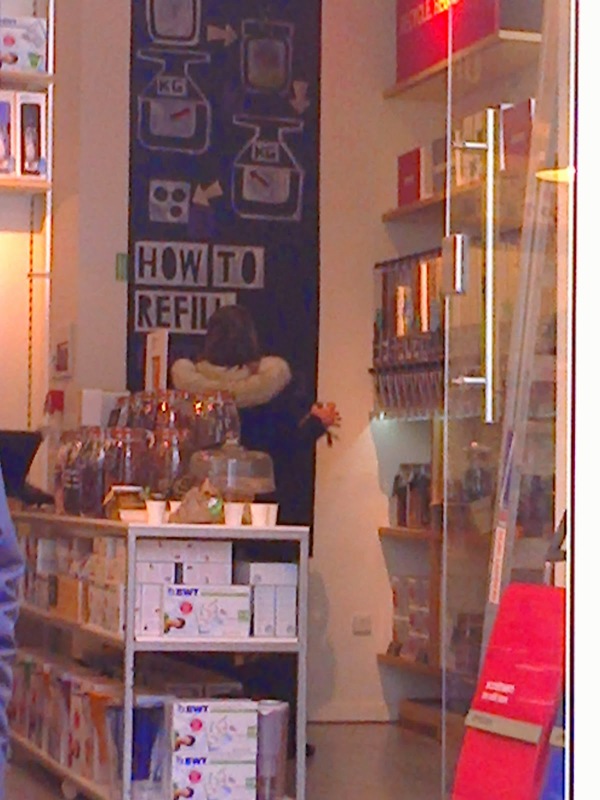 T he more they mobilised the fewer people went into the shop! Something the limited intellects of people like Cobb never got. 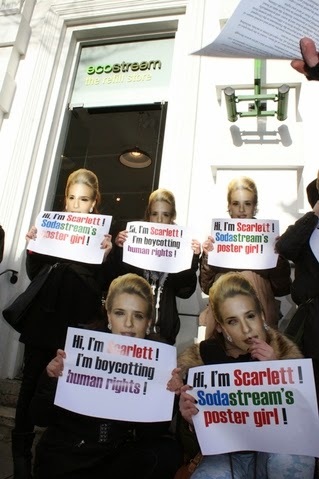 Brighton Argus’s business editor (long since departed from the Argus) John Keenan allowed Sodastream to fund an all expenses paid trip to the factory in Mishor Adumim and in return he provided sympathetic copy about how, without the factory, the Palestinians would not have a job. It was yellow journalism at its worst and reminiscent of the apologists for Apartheid in South Africa. What Keenan didn’t mention was that an anti-racist workers organisation, consisting of Palestinians and Israelis, Kav La’Oved, was refused access, as have Palestinian trade unions. We wonder why? Passing by on days when there were no demonstrations, the shop still stubbornly refused to attract any custom. The only question is how it managed to stay open for 2 years? The only answer is that the central company was heavily subsidising it, but the damage to its reputation, reflected in a declining share price, made a shop that doesn't make money a luxury too far. Unfortunately I became seriously ill during the protests and had to retire from the weekly counter-demonstrators. 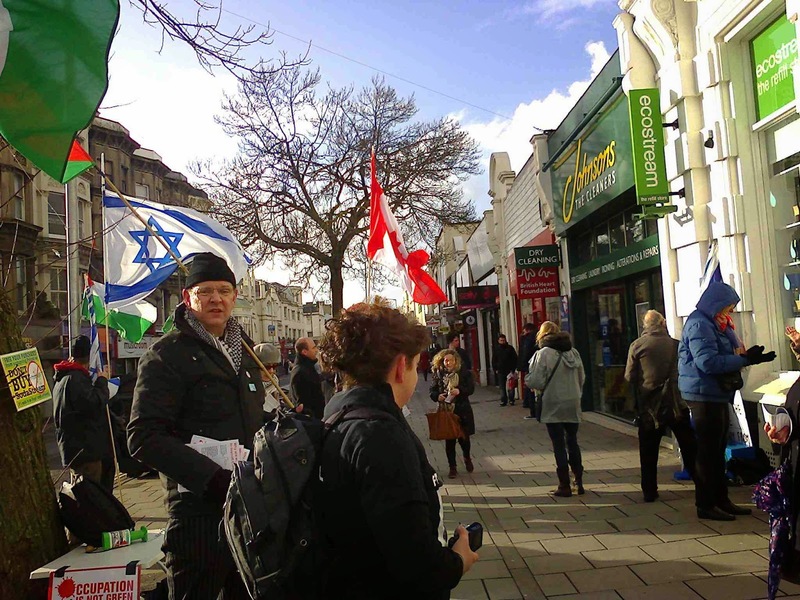 However Brighton PSC, which has grown enormously as a result of the campaign, fielded people, young and old, to make clear their opposition to the ‘green’ Apartheid shop on Western Road. A good example of Police bias was when I was forced to defend myself against a violent Israeli by punching him once. He is a well known nasty piece of work, as you can see from the videos, who had advanced towards me with the clear intent (based on previous experiences) of attacking me. The Police prosecuted me (though as I've pleaded not guilty they may be in for a surprise). Unsurprisingly the ‘green’ administration of Brighton & Hove Council was conspicuous by its absence, except for leader Jason Kitkat, who participated in the shop’s opening party. Others like Deputy Leader Phelim McCafferty, who had turned up on Palestinian protests before being elected, kept their distance. To be fair, Green MP Caroline Lucas has been more supportive. 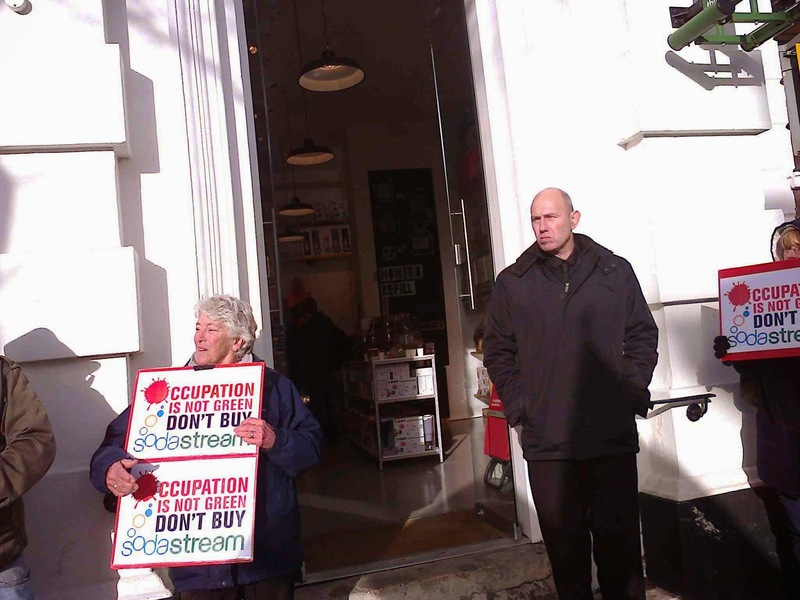 Following two years of regular street protests by pro-Palestine campaigners outside the Eco-Stream store in central Brighton, the shop has announced that it has ceased trading. Shiake gets uncomfortable from Glenn Williams on Vimeo. An unhappy Israeli from Glenn Williams on Vimeo. Zionist strikes out - in the cause of peace! 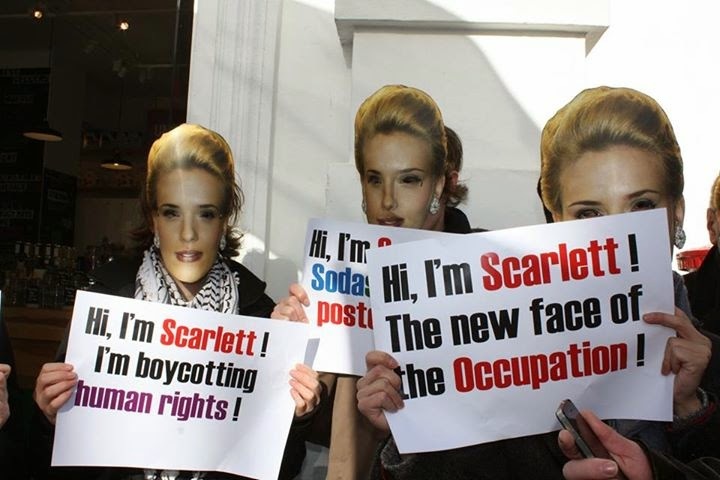 These protests are part of a wider international movement for Boycott, Divestment and Sanctions (BDS), following a call in 2005 by over 130 civil society organisations in Palestine. The BDS Call urges a boycott of all Israeli companies until Israel complies with international humanitarian law, recognizes the fundamental rights of the Arab-Palestinian citizens of Israel to full equality, the rights of return of refugees and ends the siege of Gaza and the occupation of all lands occupied in 1967. 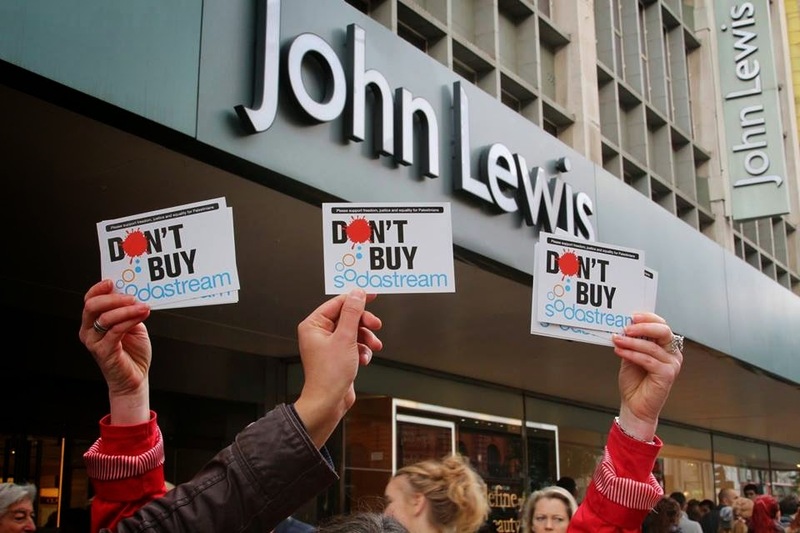 The EcoStream protest has focused specifically on the Israeli programme of illegal settlement expansion, and the presence in the store of products manufactured on a key illegal settlement in the West Bank. Simon Cobbs's double standards from Glenn Williams on Vimeo. Cobbs imposing himself on others - calls anti-Zionist Jews Kapos and then complains when I called him one! More from Sussex Police Facilitator Simon Cobbs from Glenn Williams on Vimeo. 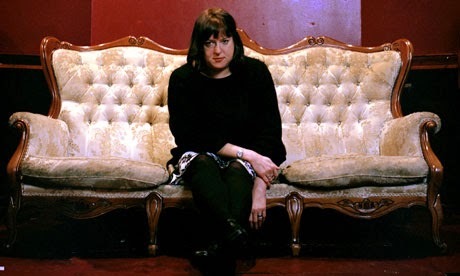 The Crazy Zionist Collection (1c) : Mama Sion from Glenn Williams on Vimeo. Shaike Rozanski: Israeli thug from Glenn Williams on Vimeo. "Rip his throat out!" from Glenn Williams on Vimeo. Shaike Rozanski making a Tuesday appointment. from Glenn Williams on Vimeo. Shaike Unhinged II from Glenn Williams on Vimeo. Jill Unhinged from Glenn Williams on Vimeo.